“I Want To Know” recently dug up the series of scandals in the “Burning Sun Gate”. The attitude of Seungri revealed in the process has once again ignited public outrage. SBS’s “I Want to Know” aired on the 23rd focused on the Burning Sun Gate. The show mentioned Burning Sun club’s accused collisive ties with a former police executive, the true nature of Ms. Lin who was called the “Taiwanese Big Player” along with an interview with Lee Moon-ho who is a friend of Seungri and the former director of the Burning Sun. In the process, the producers of “I Want To Know“, who wanted to know Seungri’s position, contacted him and the text that came from Seungri was released. Lastly, Seung-ri said, ‘We were not able to make any free rebuttal or press response because we belong to the agency. I think they have abused this,‘ he added. Even though we don’t know when was this message sent yet, it might have been before the situation is as serious as right now. However, we can see that Seungri is not taking the situation as serious as it should be. The idea of Seungri was clearly a problem as he considering the origin of the problem as “an unauthorized leak of personal mobile phone information“. The problem actually started from the club Burning Sun assault case, where Seungri was registered as a public relations director. With the problems continuously being exposed, the situation has got out of the entertainment industry and became a social problem. Since then, the victory has been embroiled in allegations of sexual favors for overseas investors, and allegations have been raised that there was prostitution at Seungri birthday party held in the Philippines in 2017. Suspicions have been added that he had been drug dealing and gambling abroad. 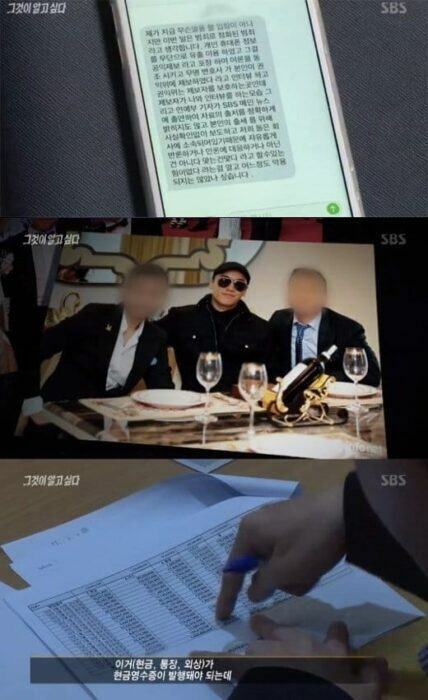 On 23rd, suspicions were also added that Seungri entertained the Japanese businessman with prostitution services. The officer who was involved with them have also been arrested, and investigations into “police collusion” are continuing. YG Entertainment, which he belonged to, will be subject to a tax investigation. The situation right now has already went past the level of a mistake of foolish young kids. Even if Seungri (as he claims) was “Burning Sun’s face madame”. Despite the situation, however, Seungri seems to be more “embarrassing” about their “personal conversations” being leaked than repentance for their sins. SBS released new information on Seungri’s scandal: Ji Chang Wook is the next person involved? TWICE is considered “superior” to BLACKPINK but why are they always losing to the opponent on Youtube views?